All joints are in a neutral stance so no excess strain is placed on the muscles, tendons, nerves and ligaments. The body is at its most efficient and less likely to incur injury. Weakness in the gluteals, hamstrings and abdominals meaning the pelvis cannot be held in neutral. Tightness in the erector spinae muscles of the back, and the anterior hips structures pulling the pelvis forwards. Weight through the front of the foot, hips in extension in front of the centre of mass, and upper back behind centre of mass to keep balanced. Shoulders forwards to compensate for body position. Tightness through the pectoral muscles and stiffness in the upper back. Muscle imbalances can be screened for by a physiotherapist, and specific exercises suggested to address them. 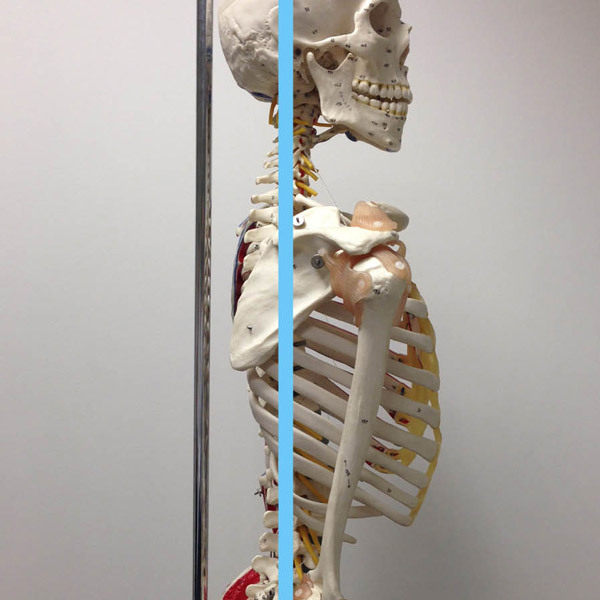 Follow this link to find out more about our muscle balance assessments here at Oxford Circus physiotherapy. Or book an appointment for a muscle balance assessment.